Nusa Penida is an island southeast of Bali island, Indonesia. Administratively, the island is a sub districtof Klungkung regency. There are two small islands nearby: Nusa Lembongan and Nusa Ceningan. The Badung Strait separates the island from Bali. 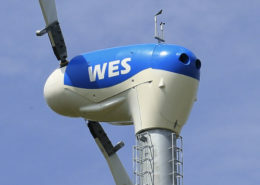 Five WES80 wind turbines are installed on the small island Nusa Penida. 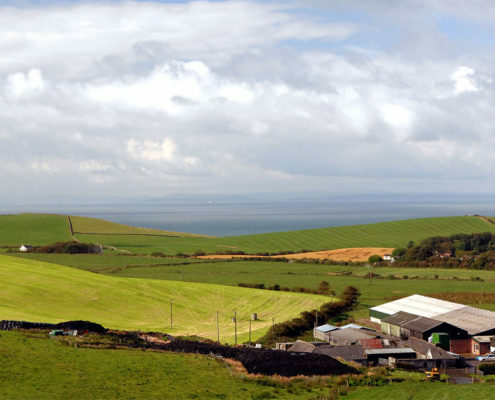 The grid on the island is powered by a series of diesel generators with a peak load of 1.2 MW. 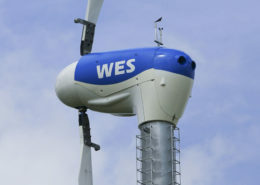 The 5 Hybrid turbines are installed in the diesel grid to reduce the consumption of diesel fuel. 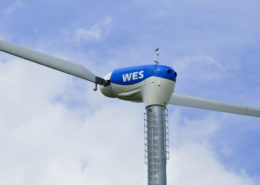 The average wind speed at the island is less than 5 m/s, but because the WES turbines have a low start up wind speed of 3.0 m/s each turbine still generates an average of 135.000 kWh a year. 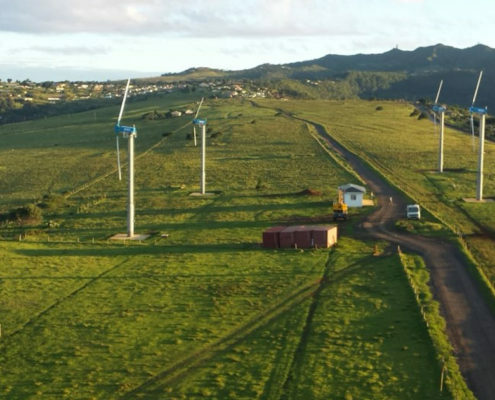 Each turbine can reduce the diesel fuel consumption of the island by approximately 43.000 liters a year. The lattice towers and turbines have been installed without the use of a crane. A special hoisting rig with a hoisting boom and a winch have been used to lift the nacelle to the top of the lattice tower. 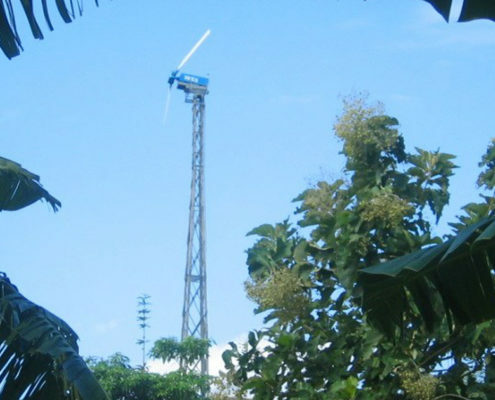 The lattice towers have been fabricated in Indonesia. 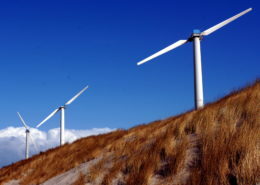 Yearly energy production: 135.000 kWh per turbine per year. Do you have a question? Don’t hesitate to contact us!